Pizza for breakfast! 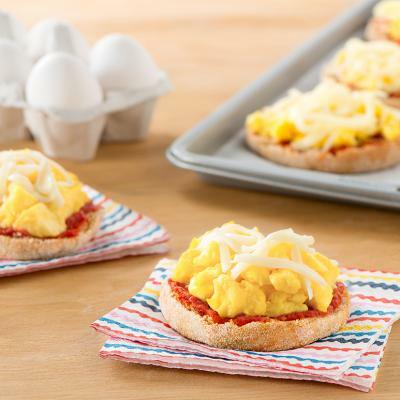 The kids will love this quick and easy breakfast recipe. 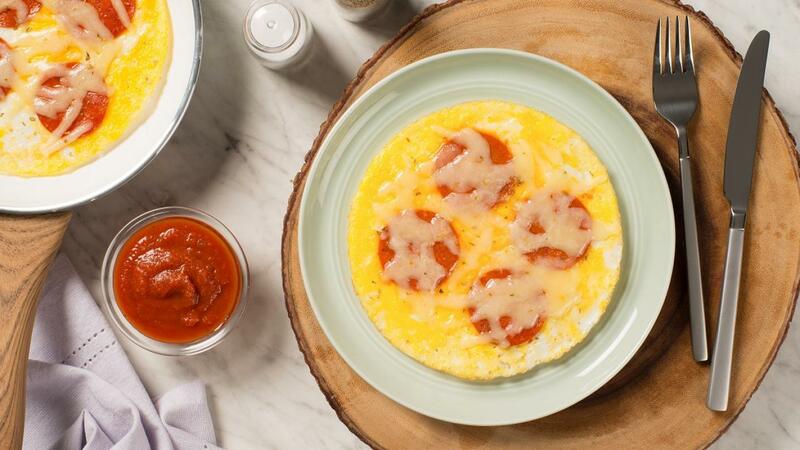 An omelette acts as the pizza base, topped with pepperoni and grated cheese creating a fun warm egg breakfast that’s ready in under 10 minutes. Whisk eggs and oregano, if using, in small bowl. Spray 8-inch (20 cm) non-stick skillet with cooking spray. Heat skillet over medium heat. Pour egg mixture into skillet. 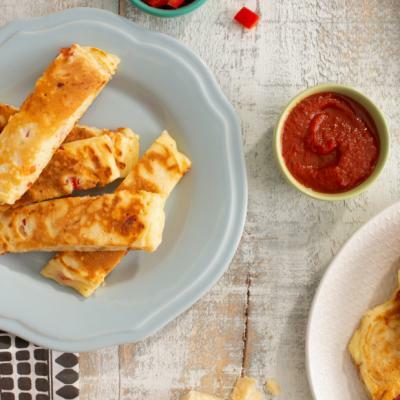 With spatula, gently push cooked portions toward centre. Tilt and rotate skillet to allow uncooked egg to flow into empty spaces. Top with pepperoni and cheese. Cover and cook until eggs are set and cheese is melted, about 2 minutes. Slide pizza onto plate. Serve with sauce for dipping. Instead of oregano or basil, use Italian seasoning. 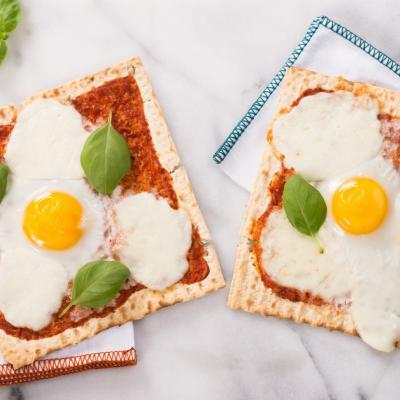 Instead of pepperoni and mozzarella cheese, use ham or cooked vegetables, and another type of cheese.